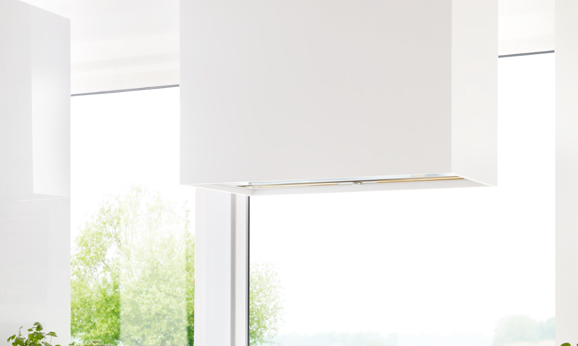 The berbel Skyline Round ceiling lift hood leaves you plenty of space in your kitchen. 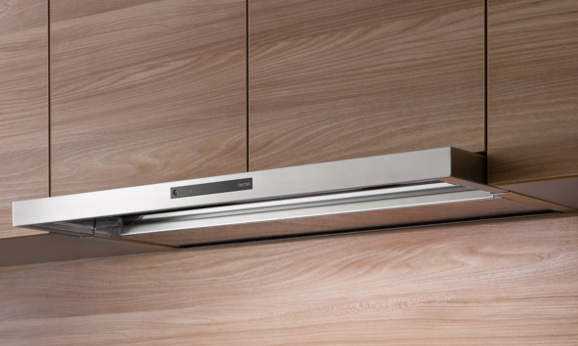 The extractor hood works quietly and achieves top air cleaning results. 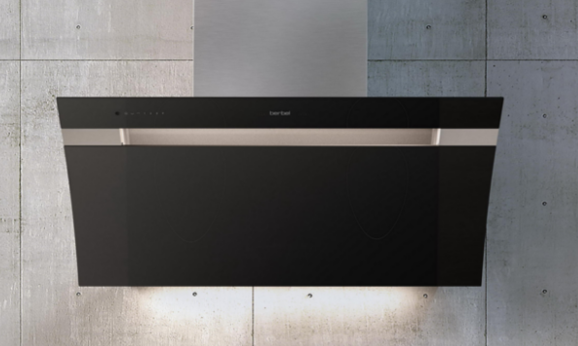 Equipped with the CenterFlow separation system (patent pending), it is suitable for hobs with a width of up to 80 cm despite the small diameter of 60 cm. 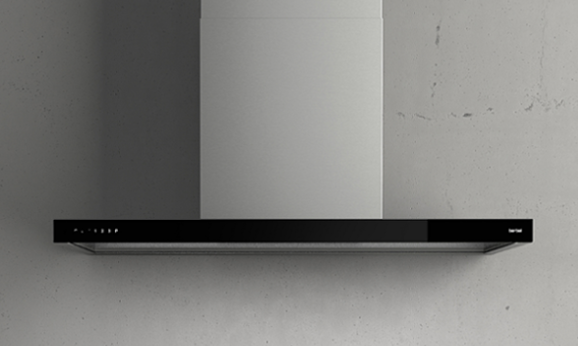 When you want, it disappears beneath the ceiling thanks to the lift function. When in use, it can be moved to the ideal distance from the hob. Cooking vapours no longer have a chance to survive! An all-round performance. 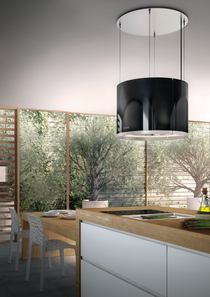 With the berbel Skyline Round ceiling lift hood, Stefan Ambrozus has created a splendid union of appearance and technology. 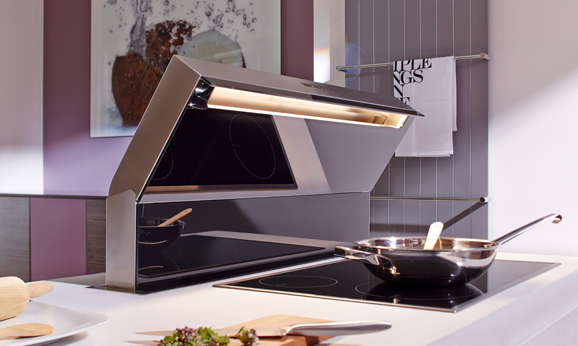 Practically weightless, the hood hangs above your hob suspended by four cables. The shatterproof glass demonstrates perfect workmanship. The LED hob lighting provides a pleasant working light. 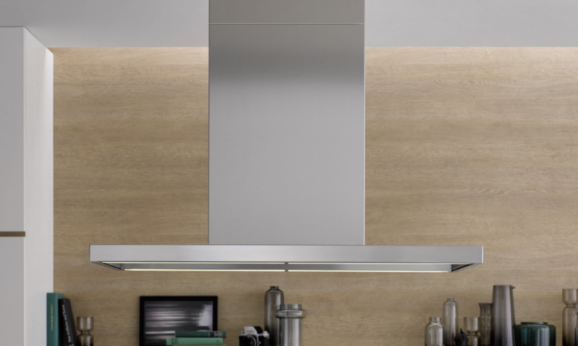 The upwards effect lighting and integrated hob illumination skilfully set the stage in your kitchen. 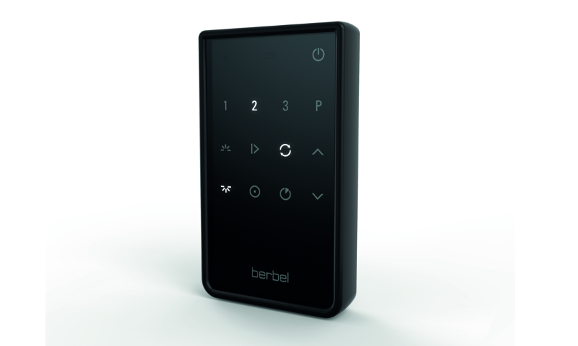 That&apos;s how it won the red dot design award 2013 in the "Honourable Mention" category. It makes cooking fun! A powerful and energy-saving EC fan motor and the berbel recirculation filter in conjunction with the patented berbel CenterFlow separation technology ensure a lasting high rate of fat separation with top vapour capture and odour trapping. 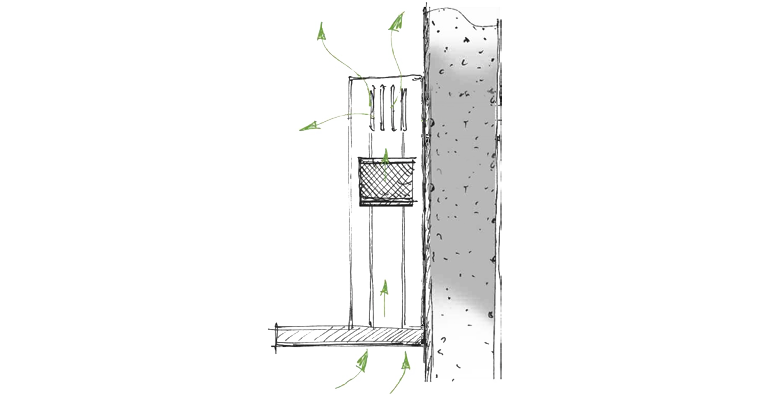 CenterFlow technology ensures optimum flow behaviour and the reduction of noise to a pleasant level. Small radius of 60 cm. 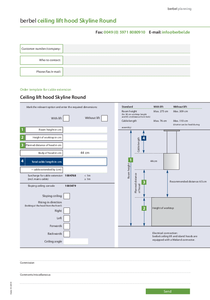 Suitable for hobs with a width of up to 80 cm.